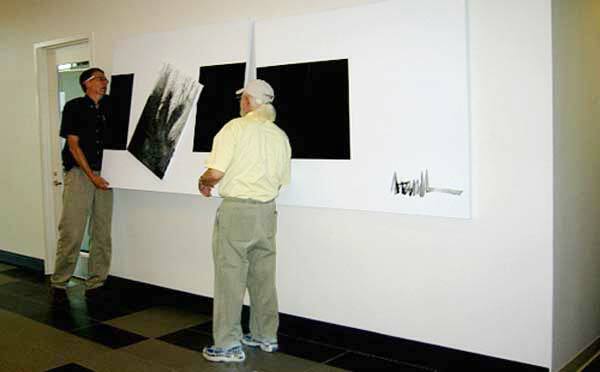 The simple use of black, gray and white offers an exceptional opportunity for the artist to demonstrate a playful side of his work. Without color to distract or be loud, each painting has its own visual humor. 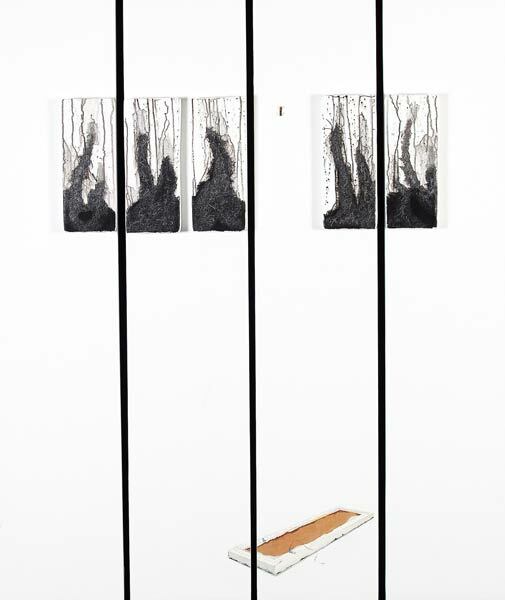 One shows a fallen painting upside down, leaving an empty hook; another is hanging askew; others tilting with canvas mounted on canvas. The impact of the paintings’ multiple panels and impressive size combined with the playfulness of the content are sure to delight sophisticated art connoisseurs. Paintings #1 and #3 are acrylic on canvas, while #2 and #4 are on linen.